Four of Margaret Fitzpatrick’s family present the equipment to nurses from Broomgrove Nursing Home: (from left to right) Andy Fitzpatrick, Mags Fitzpatrick, Andrea Farrell (Nurse), Judy Warburton (Clinical Nurse Manager), Jay Rees (Nurse) Kate Fitzpatrick, Michael Fitzpatrick. Pic by Glenn Ashley. A former Sheffield teacher that devoted her life to helping others is set to be remembered – in the same selfless style she lived. Margaret Fitzpatrick taught hundreds of pupils at the city’s Notre Dame High School and High Storrs in her working life. She continued teaching way past retirement age and had strong sense of family having brought up seven children. But for Margaret Fitzpatrick, life had only just begun. She ended up doing 25 years voluntary work for Sheffield’s St Luke’s Hospice. It was only after a fall at the age of 97 she was admitted to Broomgrove Nursing Home where she lived for the final two years of her life. Margaret Fitzpatrick’s name is now set to live on thanks to a donation to the home. The money is funding a hi-tech bladder scanner which is set to reduce hospital admissions and provide far less invasive treatment of urinary conditions. Four of Margaret Fitzpatrick’s family presented the equipment at a special ceremony. 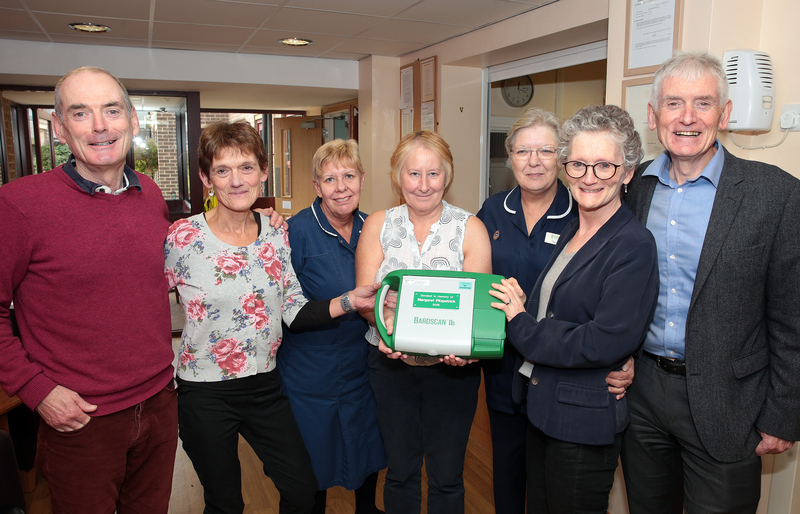 Four of Margaret Fitzpatrick’s family present the equipment to nurses from Broomgrove Nursing Home: (from left to right) Andy Fitzpatrick, Mags Fitzpatrick, Andrea Farrell (Nurse), Judy Warburton (Clinical Nurse Manager), Jay Rees (Nurse) Kate Fitzpatrick, Michael Fitzpatrick. Broomgrove is the best in Sheffield – and that’s official! 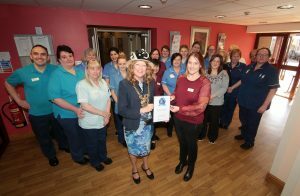 The Lord Mayor of Sheffield joined in the celebrations after a Sheffield nursing home being voted the very best in the city. Broomgrove Nursing Home, which is sited just off Ecclesall Road, has received a ‘Top 20 Award 2018’. Broomgrove is the only home of its kind with charitable status in the city and surrounding region. 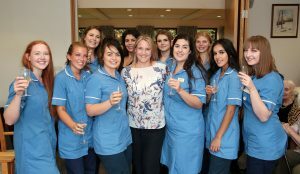 Davina Ludlow, Chair of carehome.co.uk, said:“Broomgrove Nursing and Convalescent care home proved that they provide a high standard of care and we would like to congratulate them on being a Top 20 care home in Yorkshire! It is such an achievement to be recognised for being a top rated care home by the very people you care for. Resident care has undergone a hi-tech revolution at Broomgrove as it becomes the first in the country to install a pioneering new generation of nurse call system designed to prioritise care for the most vulnerable. The Lord Mayor of Sheffield, Councillor Anne Murphy, officially unveiled Courtney Thorne’s Altra system just a few days ago. Donna Pierpoint, the manager at Broomgrove said: “We’re constantly on the look out for ways we can improve resident care and provide them with an extra level if safety and reassurance. This new system is absolutely fantastic. The legacies of two former residents funded the wireless Courtney Thorne Altra system that automatically monitors response times and ranks their priority. Duke of Gloucester goes one better than Queen’s telegram for Betty! 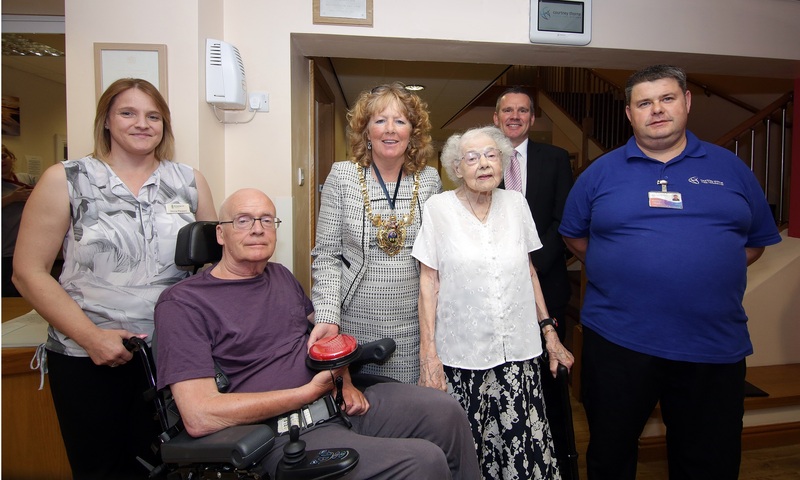 Our 100-year-old resident has ensured her centenary year will go down in history! 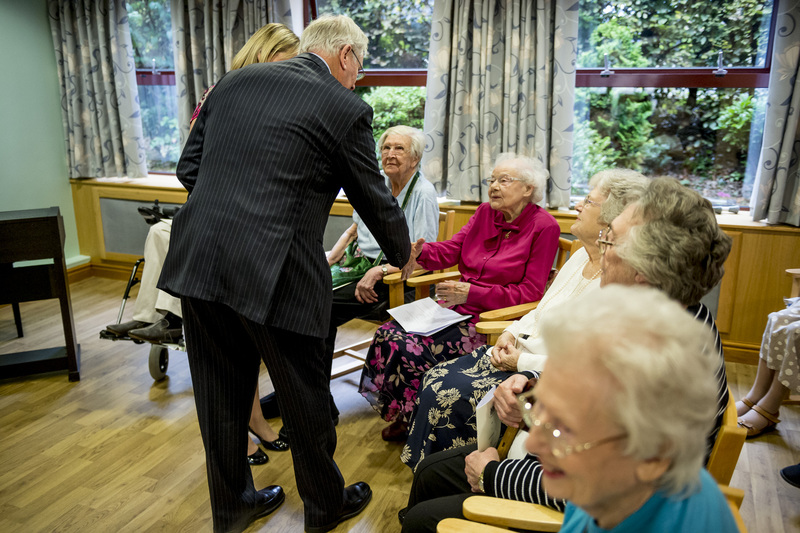 Not only did Betty Richardson receive a telegram from the Queen – she also entertained a personal visit from her cousin, His Royal Highness the Duke of Gloucester! 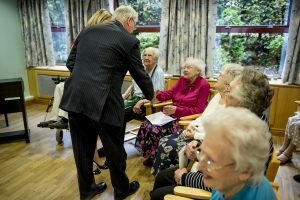 The royal dropped in at Broomgrove Care Home where he met staff and residents and enjoyed a performance by the Lost Chord – the South Yorkshire-based charity that specialise in providing interactive music sessions for dementia sufferers. The Duke took special interest in resident Betty Richardson as his own mother lived to the ripe old age of 102 years-old. He asked Betty if her position as elder of the home carried any sway. “I get my own way quite a lot”, admitted the sprightly 100 year old. Donna Pierpoint, the manager at Broomgrove Care Home, said: “It’s not every day you get a member of the royal family visiting a care home! The Duke of Gloucester also chatted to 95-year-old Broomgrove resident Jean Callin, the former leader of Sheffield Chamber Orchestra, and 67-year-old Rod Knowles – one of the home’s youngest residents.